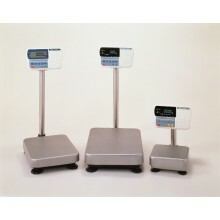 SK-WP Series compact washdown scales are ideal for food preparation and food service applications. 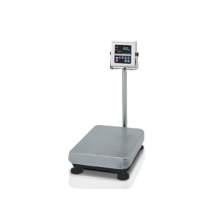 With an IP65 rating, all stainless steel construction, a large removable stainless steel pan, these scales are washable and easy to clean. 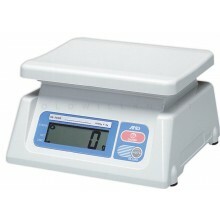 SK-WP scales are NTEP Certifi ed, Measurement Canada approved, NSF listed and meet HACCP requirements. A long 1200 hour battery life (6 D-cell batteries) eliminates the need for optional AC power in many applications. Units for NTEP models: g, oz, lb. Non-NTEP models add lb-oz. 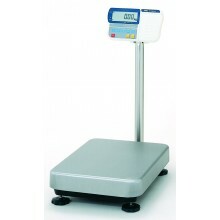 SK-WP Series compact washdown scales are ideal for food preparation and food service applications. 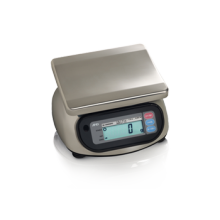 With an IP65 rating, all stainless steel construction, a large removable stainless steel pan, these scales are washable and easy to clean. 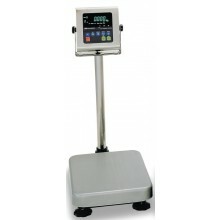 SK-WP scales are NSF listed and meet HACCP requirements. 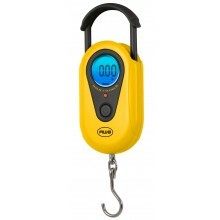 A long 1200 hour battery life (6 D-cell batteries) eliminates the need for optional AC power in many applications. Units for NTEP models: g, oz, lb. Non-NTEP models add lb-oz. HV-WP scales are identical to the HW-WP (to the left) but include the “Triple Range Resolution” function which matches the resolution to each of the three internal capacities. The result is a legal-for-trade scale. 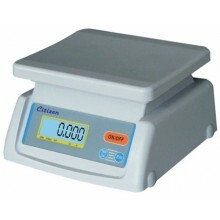 SK Series compact bench scales are ideal for general weighing in most every industry and ideal for food applications. 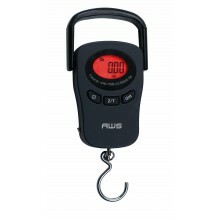 The rugged high impact molded housing is splash and rust proof. 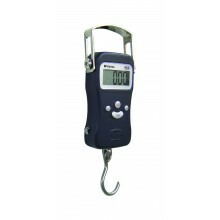 NTEP certifi ed, Measurement Canada Approved and NSF listed. SK-Z models add lb-oz and are non-NTEP certified.